Large rustic wooden A-frame shelving unit with removeable trays. 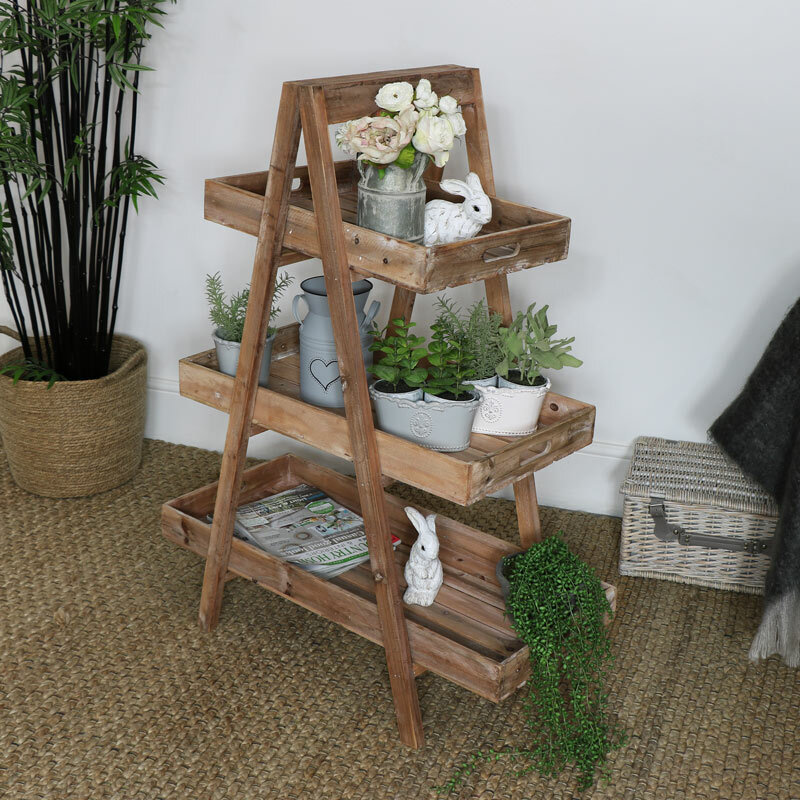 Perfect for home and garden use as a display stand for ornaments or flower and plants. Perfect for a moern or more traditional home decor look. Folding design that allows for easy flat pack and storage. Use to display ornaments, books in the home or out in the garden as a way to show off plants and flowers. 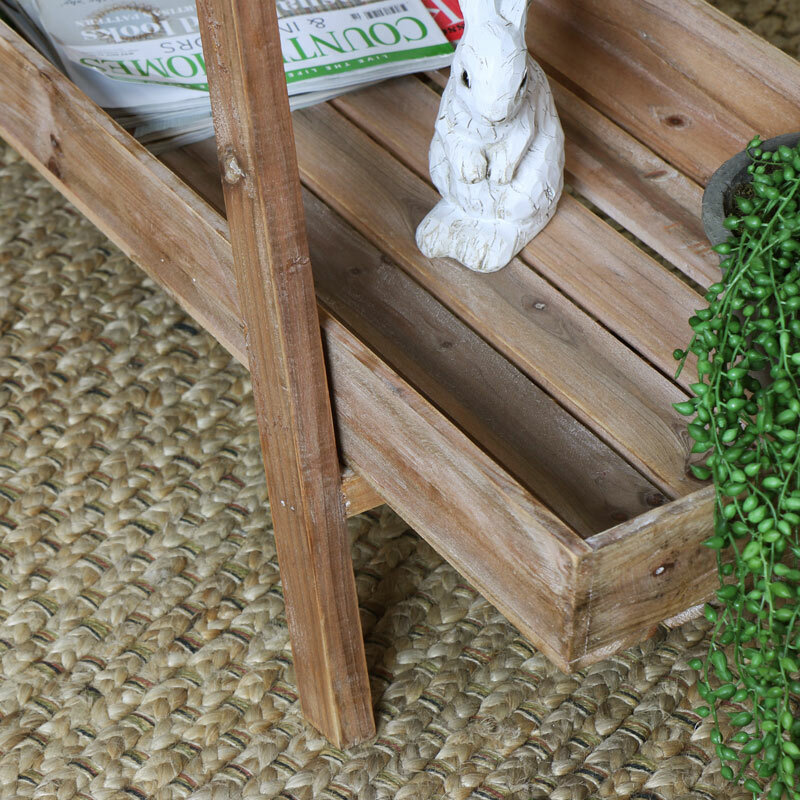 A wonderfully stylish and practical storage solution for adding a rustic look to the home or garden. Large rustic wooden A-frame shelving unit with removeable trays. Perfect for home and garden use as a display stand for ornaments or flower and plants. Perfect for a moern or more traditional home decor look. Folding design that allows for easy flat pack and storage. Use to display ornaments, books in the home or out in the garden as a way to show off plants and flowers. 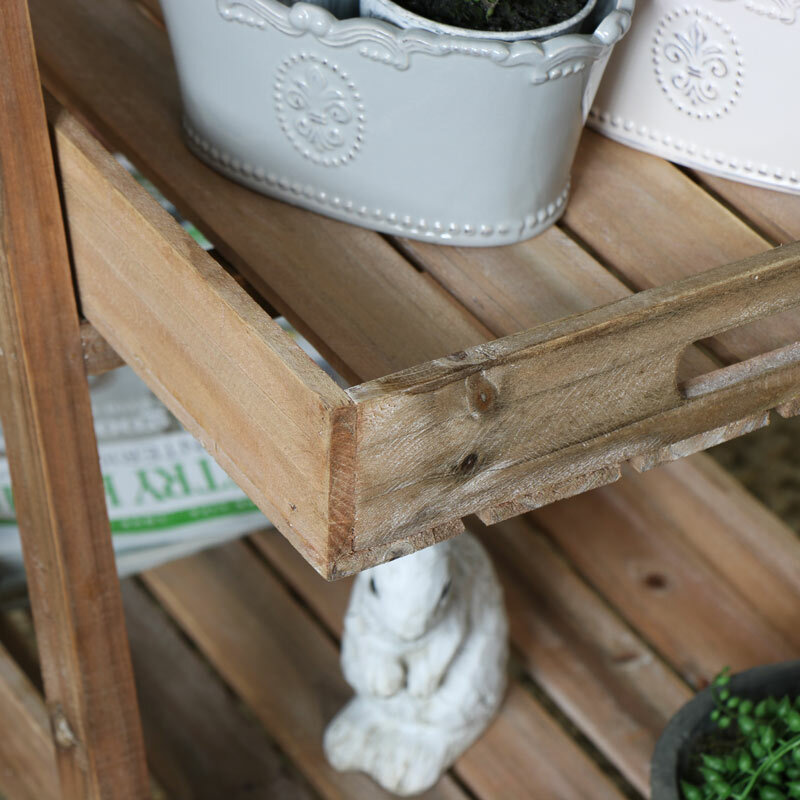 A wonderfully stylish and practical storage solution for adding a rustic look to the home or garden.